This feathered clutch is one of those pieces that I didn't have to think long about to decide on purchasing it. I'm a total day clutch girl so it just seemed like a no brainer. 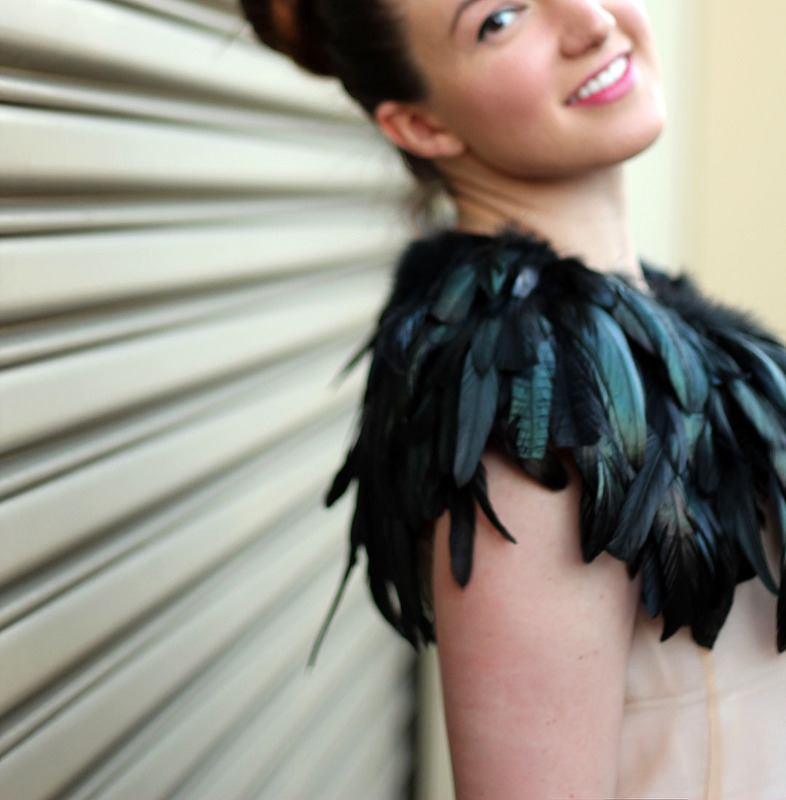 Then there is the fact that it is the perfect piece for my partnership with Jennifer of Just Add Glam where we each style a look with feathers. When this soft and fluffy arm candy finally arrived, I wasted no time styling it with a pair of boyfriend jeans and a striped tank under a white blazer. 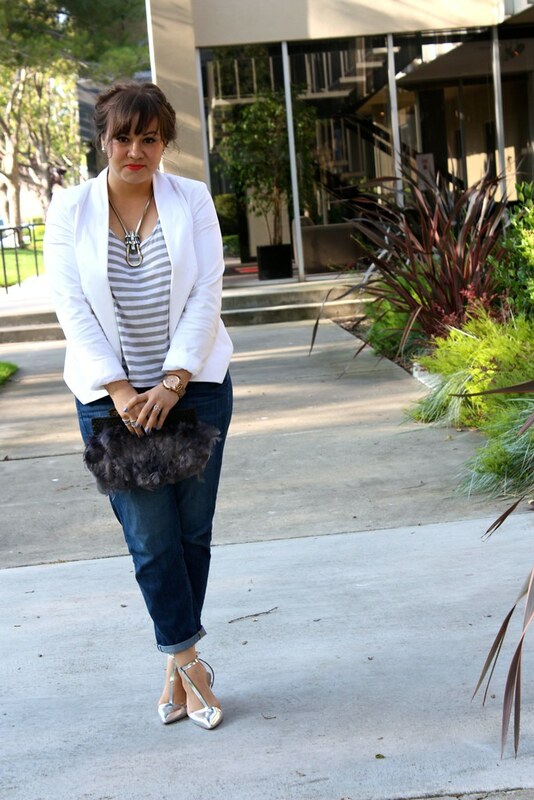 The casual top and jeans keep the feathers from making the look overly dressy, but the blazer keeps it office appropriate. Finally, I bookended the look with some silver heels and earrings then it was time to fly out the door! 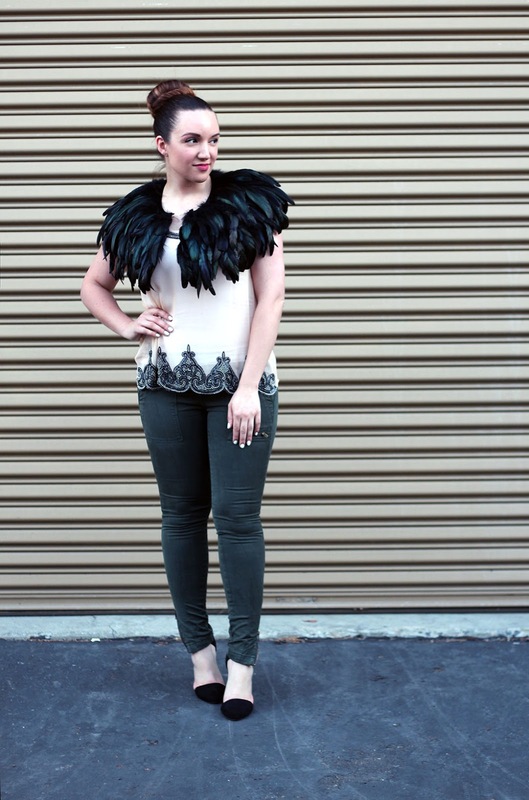 Blogging beauty Jennifer is also sharing a sneak peek of feather-filled getup. 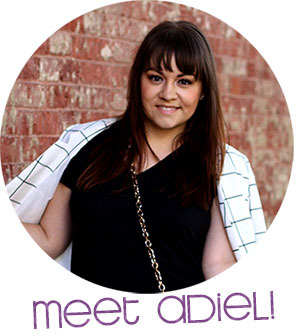 Be sure to stop by her blog Just Add Glam and take a look at her pretty plumage in it's full glory! I love the feathers! So 20s. Also, your hair looks so beautiful. 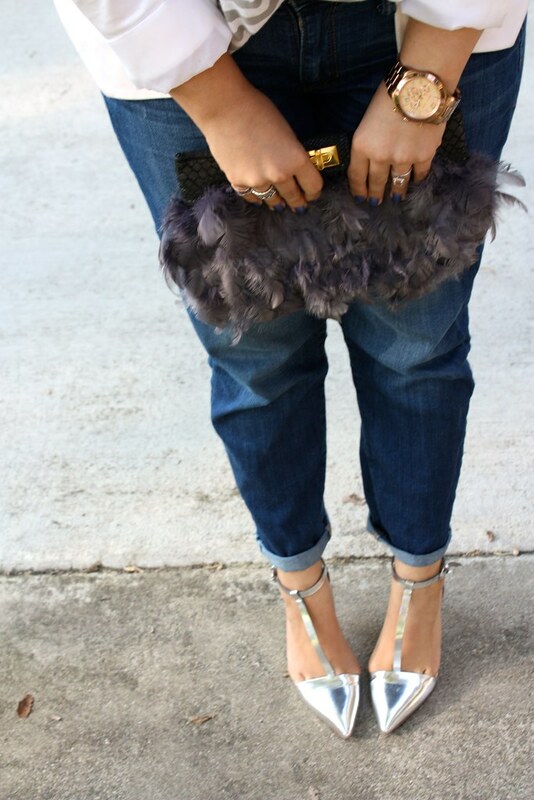 You know how much I love boyfriend jeans, and this pair is perfect with those silver shoes. 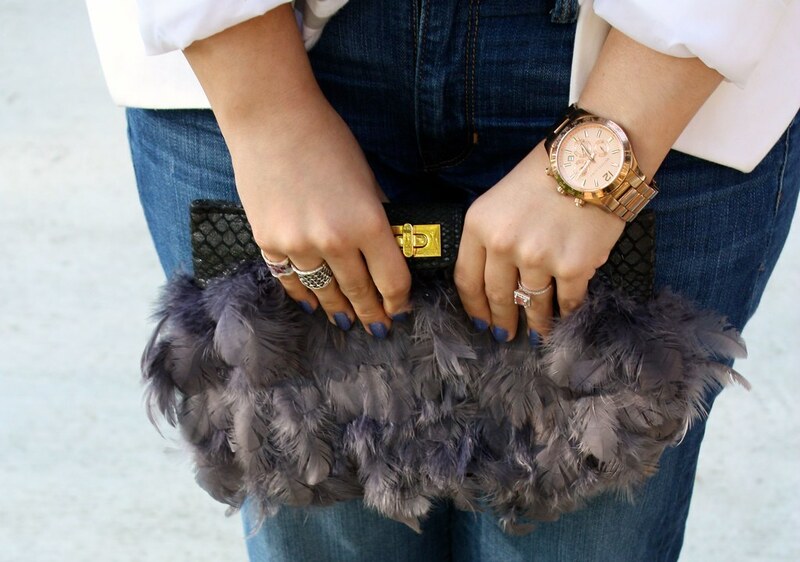 And the feather purse is the perfect feminine finish - you are too good, my friend! Also, I always admire how you mix metals with reckless abandon. I'm so hesitant when it comes to that! Thanks, lady! It took me a while to get over my fear of mixing metals. But I had to, because I love my rose gold watch and wear it almost every day... yet almost none of my jewelry is rose gold. You can do it, lady! Thanks, Caroline! I'm actually planning one when I have time. Would photos or a video be more useful/interesting to you? This look is so good, polished but relaxed like, "oh, this? yeah, I just threw it on." That feather clutch is what puts it over the edge though. So chic. lovelovelove. Ha! I pretty much love that description of this outfit!